Okay I’m just going to put this out there. Some of my favorite restaurants in LA are vegan restaurants. YEP – totally serious. Maybe it’s because they pay more attention to the ingredients and flavors put into each dish to make up for the lack of meat, and in doing so, the dishes they create are so deliciously thoughtful. Maybe I’m just turning a new, healthier leaf. But whatever it is, I can’t keep myself from “going vegan”. I’m not a vegan, and the liklihood of ever becoming the full blown thing is slim to none. I blame cheese. But restaurants like these put up a good argument for taking the plunge. Because isn’t it great when there’s healthy, plant-based options that don’t actually seem like they’re made from vegetables. Being a vegan doesn’t have to be as hard as it may seem. 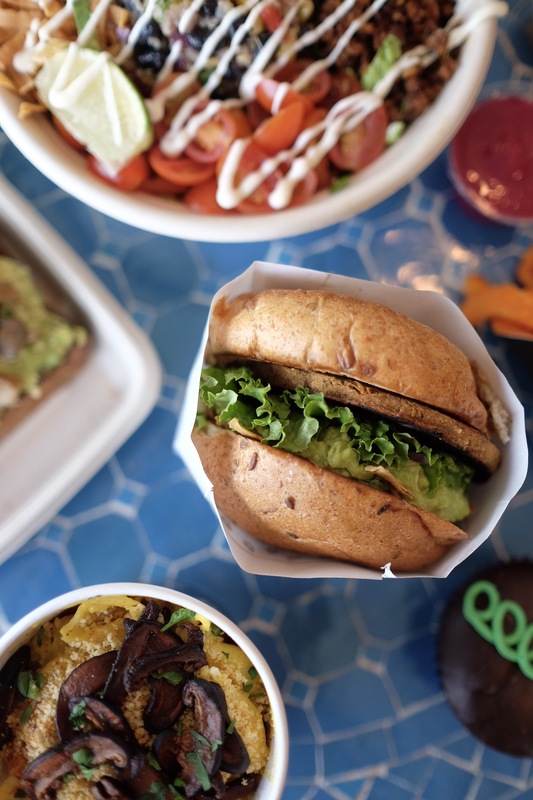 Aside from cutting out meat and all animal by-products, eating a plant-based diet is made a lot easier (and tastier) with the following restaurants. 1. Crossroads: Located in West Hollywood, this New American cuisine is definitely a bit pricier, and always packed. Get a reservation for sure. I’d imagine this is where any celebrity who prefers a vegan lifestyle ends up dining in LA… just to give you an idea. 2. Gracias Madre: A vegan take on Mexican food that is actually delicious. It’s also on the pricier side and extremely trendy so if you’re hoping for a table it’s worth it to book in advance. My favorite thing there is the Happy Hour vegan nachos – splash it down with a classic margarita and you’re golden. 3. Sage, Vegan Bistro: Delicious American food located in Culver City, Old Town Pasadena, and Echo Park. This place is more like two dollar signs on the four dollar sign scale and, fun fact, owned by the same family who owns Gracias Madre. They also specialize in providing local craft brews and offer KindKreme – an amazing vegan ice cream. 4. Cafe Gratitude: American comfort food turned vegan, this restaurant is one of LA’s favorites – whether you’re vegan or not. Located in the Arts District, Larchmont Village and Venice – Cafe Gratitude has incredible lattes for your caffeine fix, along with everything else on the menu. 5. 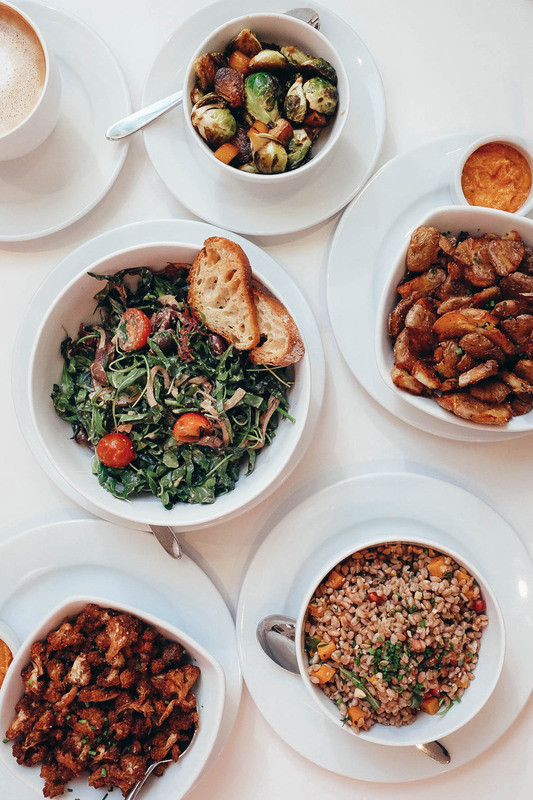 Little Pine: Located on the Eastside, this vegan treat offers gourmet mediterranean-inspired dishes, with part of the proceeds going to PETA’s work. Fun fact: this is Moby’s restaurant! 6. Mohawk Bend: Some of the BEST vegan pizza I’ve ever had. Seriously. The white mushroom pizza is to die for. Not too pricy, the restaurant takes over an old movie theater and is located in Echo Park. This is a great example of where non-vegan caters to vegan really well. 7. Two Boots: So this restaurant isn’t entirely vegan, BUT they do offer a slew of vegan pizza options that are equally if not better than Mohawk Bend, for a fraction of the price. Located in DTLA and the Eastside. 8. by CHLOE: This one is definitely more of a chain but in it’s defense, it’s vegan versions of all the fast food comfort-food staples taste twice as good with half of the guilt. 9. Green Table Cafe: everything in this adorable Pico based cafe is vegan, almost all raw, 100% organic, and guilt free. Typically that kind of slogan would have me walking in the other direction, but Green Table just does things different, I love eating here. They’ve got everything from smoothies, juices, superfood bowls, salads, burgers, paninis, to desserts. And with an extremely commendable 4.5 star on Yelp… Angelenos are seeing what I’m seeing! 10. 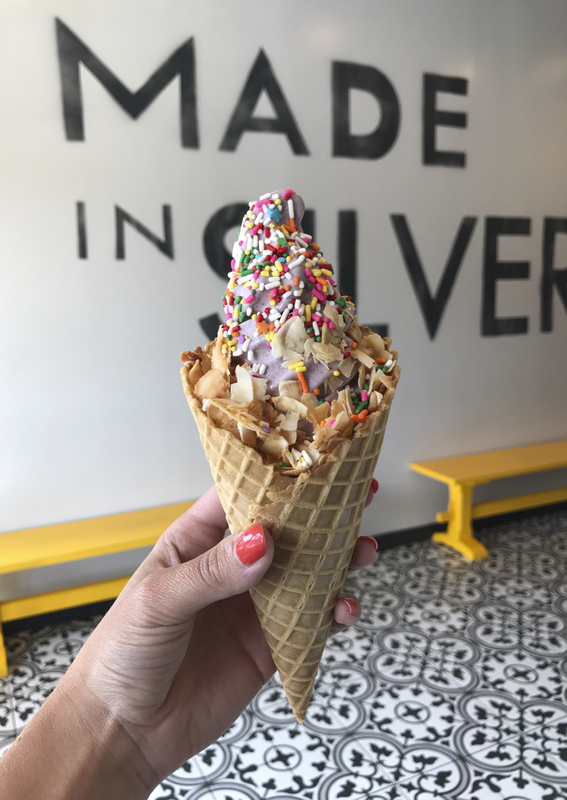 Yoga-Urt: Located in Glendale, this vegan, soy-free, gluten-free, and kosher ice cream is some of the best ice cream… ever. It was voted the “best ice cream in Glendale”, so a large part of Los Angeles agrees with me, at least. 11. Magpies Softserve: Softserve could be my middle name and no one does it better than Magpies. No one. They usually offer a split menu of dairy and dairy free flavors but more often than not I find myself ordering the dairy free flavors! If they hadn’t warned me I doubt I would have even noticed they weren’t made with dairy, and when it comes to ice cream/soft serve, that’s the goal there. 12. Donut Friend: Vegan donuts. Need I say more? Have you tried The Butcher’s Daughter in Abbot Kinney Blvd, Venice? It is so lovely, the décor is to die for, and so is the food. It is so called because the butcher’s daughter didn’t like meat!! I think! I just returned from L.A. My daughter is studying at UCLA and I paid her a visit. Now writing this from a freezing cold Milton Keynes in the UK.